Bob Simonds was a Gamma Zeta ’47. 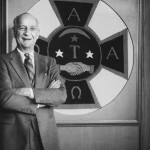 He has the unique distinction of being Worthy Master of three different ATO Chapters, Illinois, Ohio Wesleyan and Penn. He is also one of four Gamma Zetas who served as Worthy Grand Chief of ATO National. Though Bob was stricken with ALS late in his life, the fall before he died he served as Family Chair for the ALS Walk4Life in Chicago. His team has raised over $60,000 for ALS research with significant support from Gamma Zeta undergrads who raised over $11,000 and Gamma Zeta alumni who raised over $12,000. Bob and his family established this scholarship in 1995. 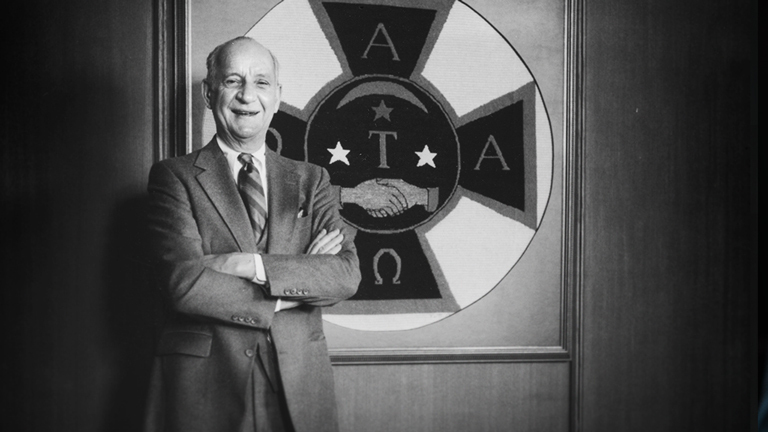 Note that there is a second R.J. Simonds Scholarship available to Gamma Zeta Leaders to fund the attendance at ATO National Leadershape training programs.